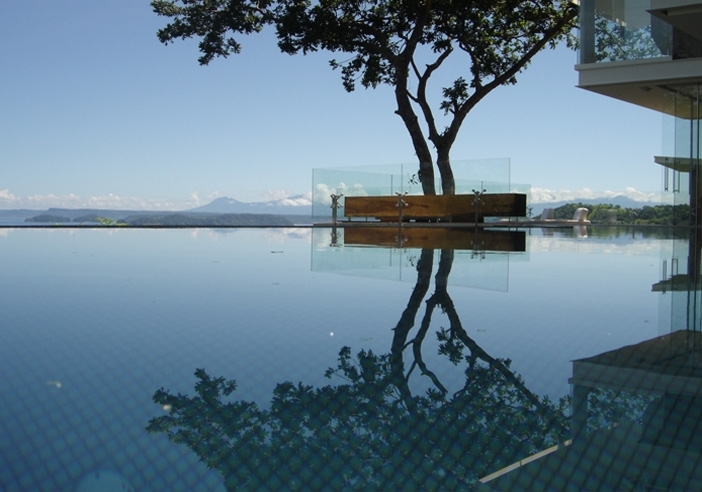 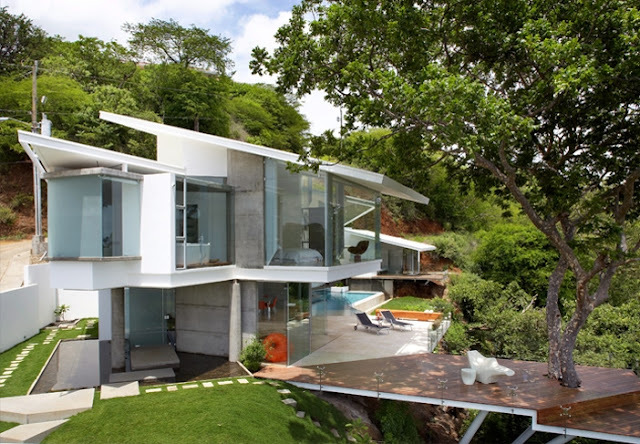 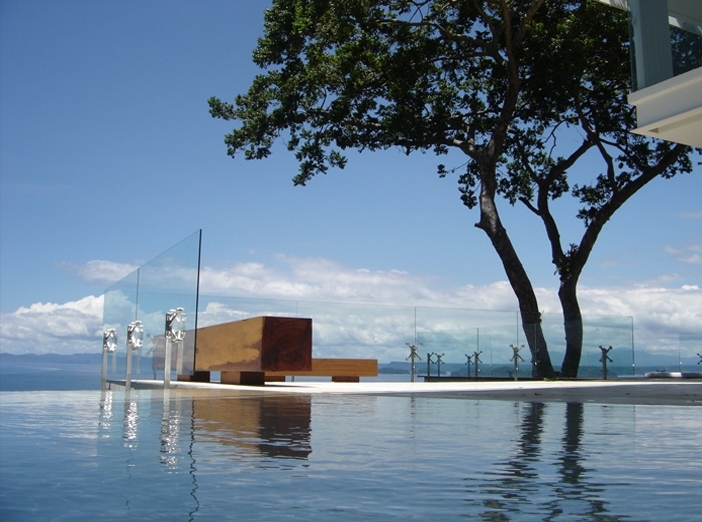 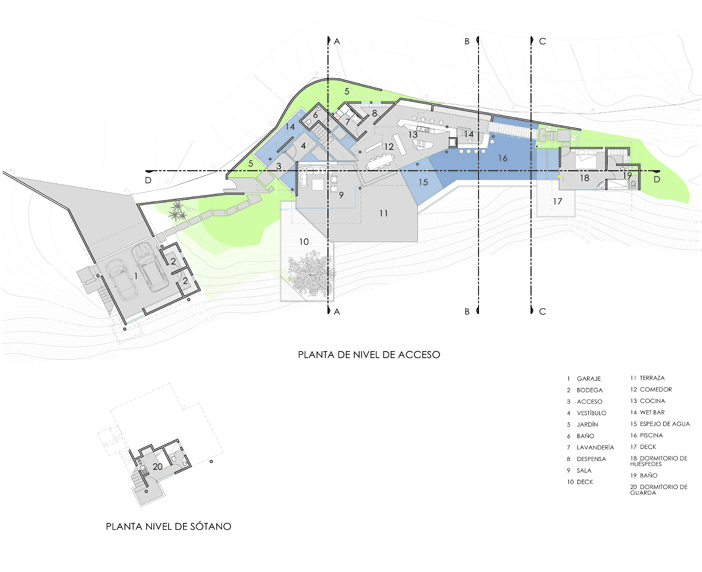 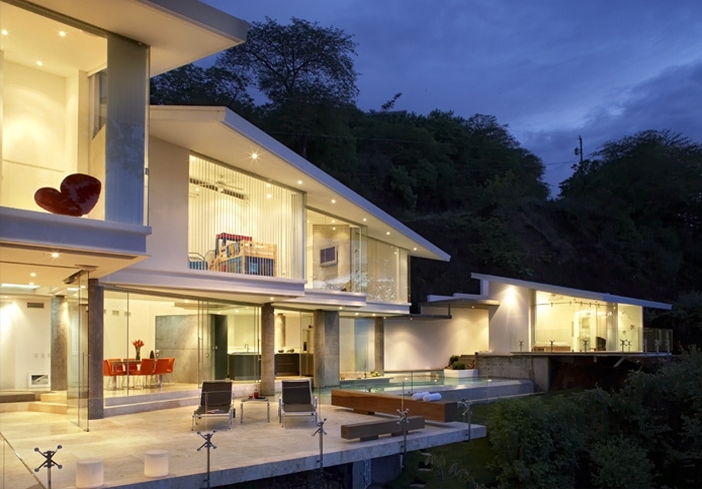 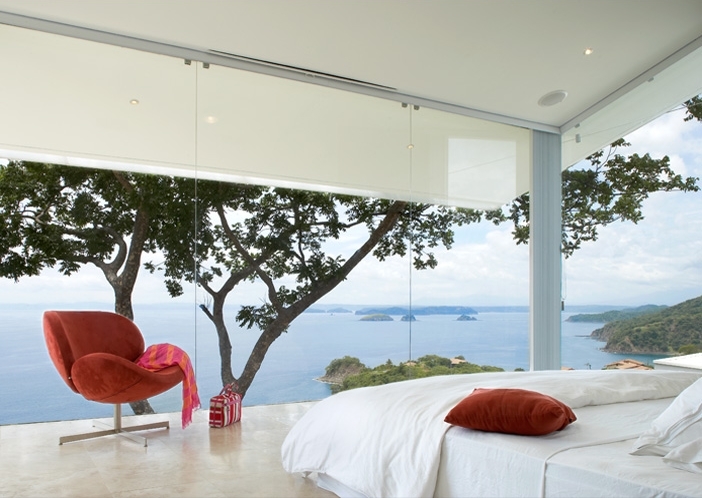 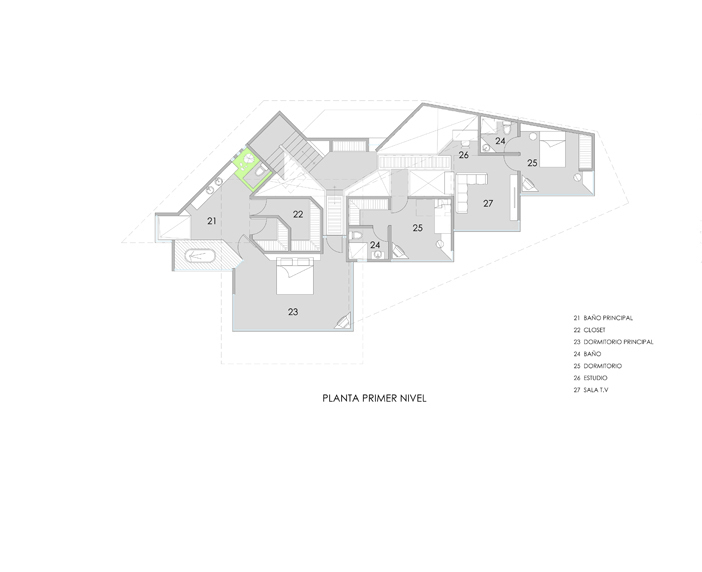 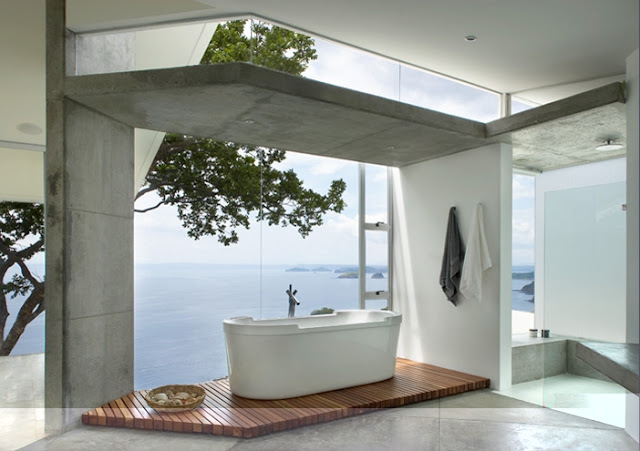 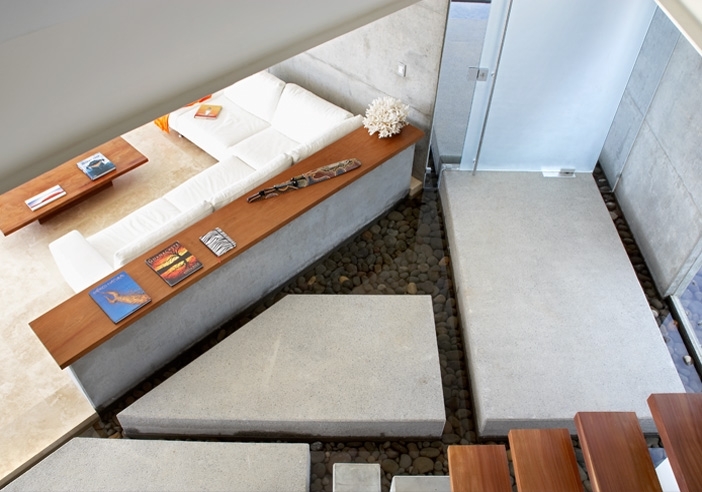 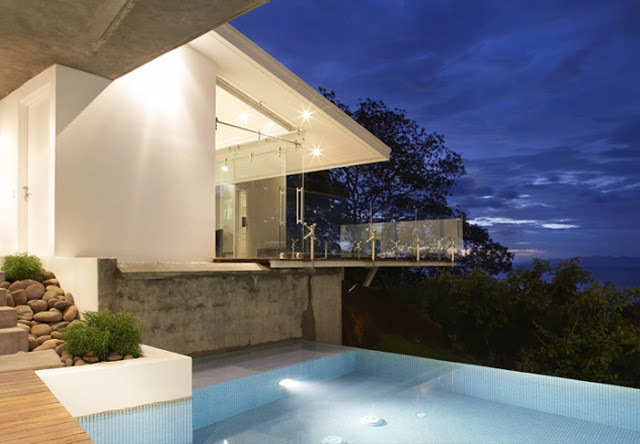 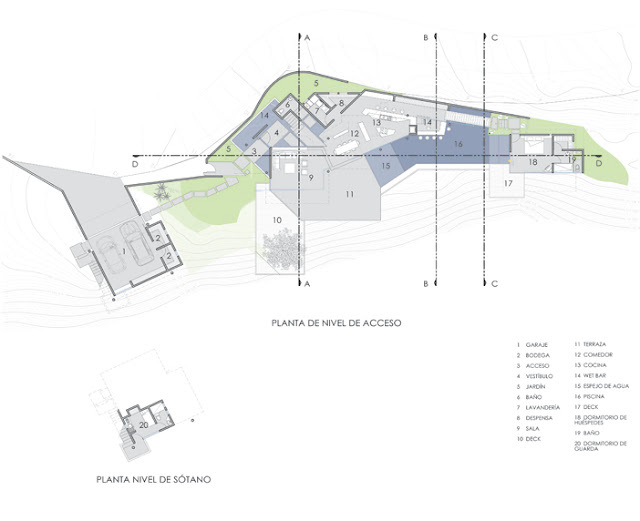 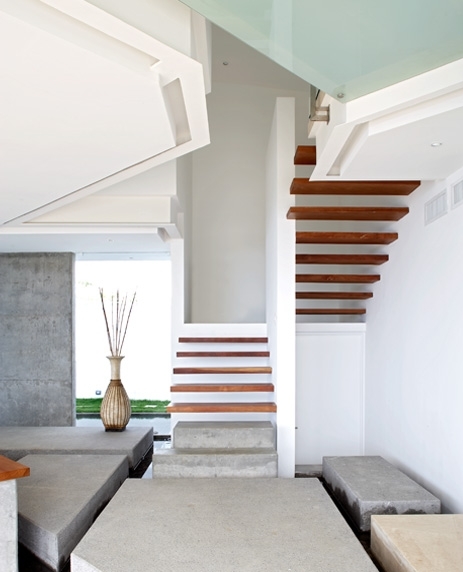 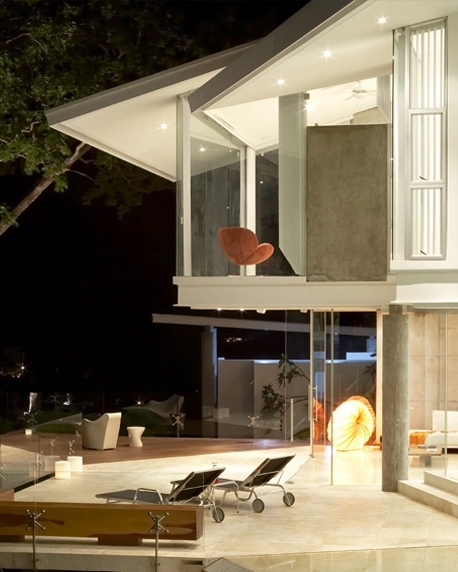 Ron Ron House also known as Casa Ron Ron is an amazing home designed by Victor Canas Studio. 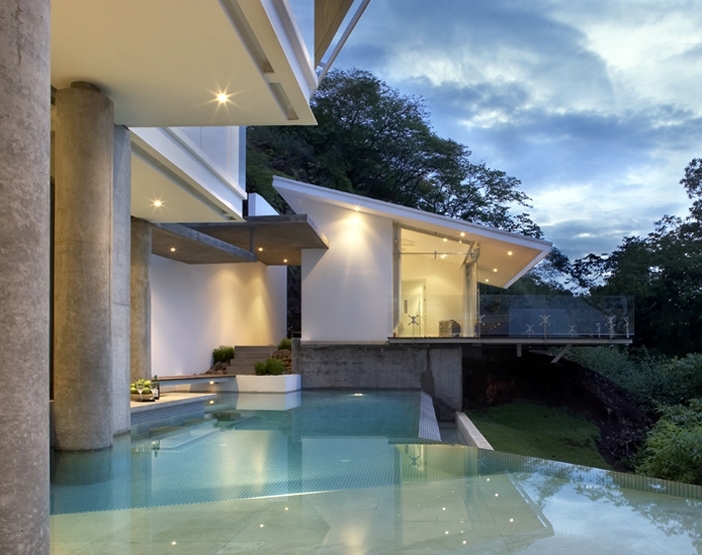 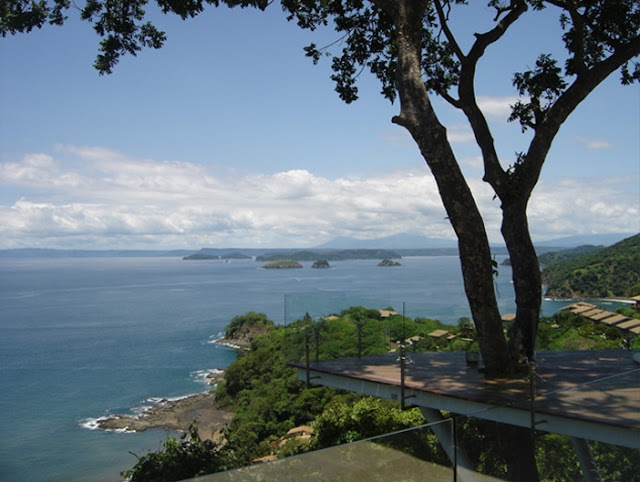 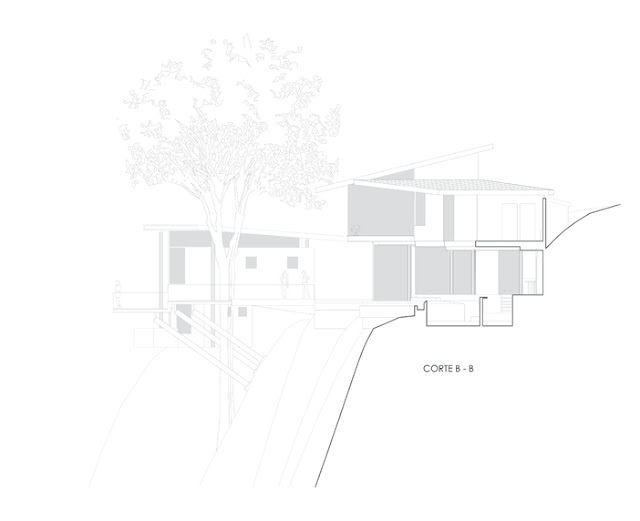 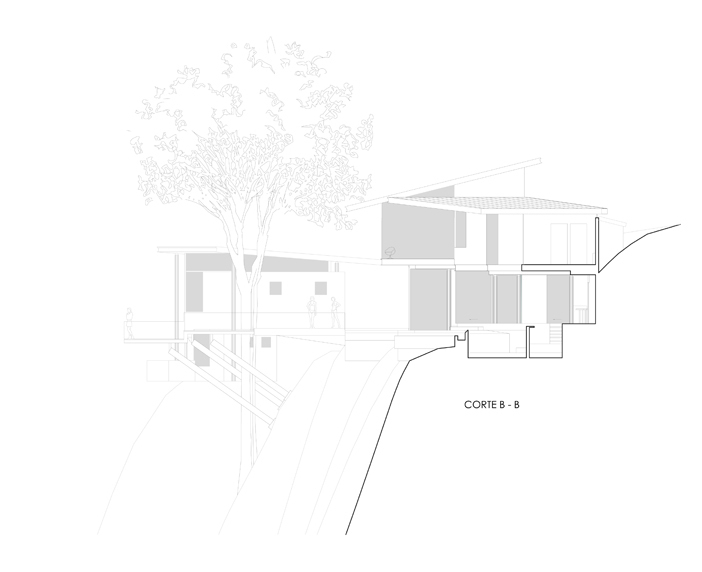 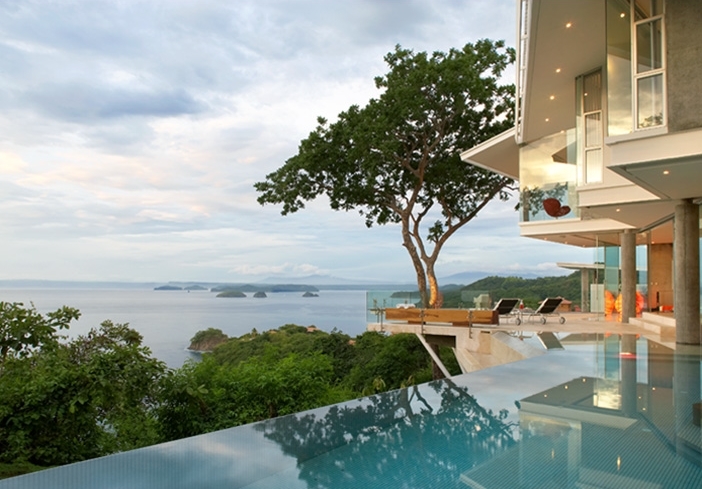 The house is located in Costa Rica and it's just another proof that houses built on the cliffs just can't turn out other than good. The view saves everything. 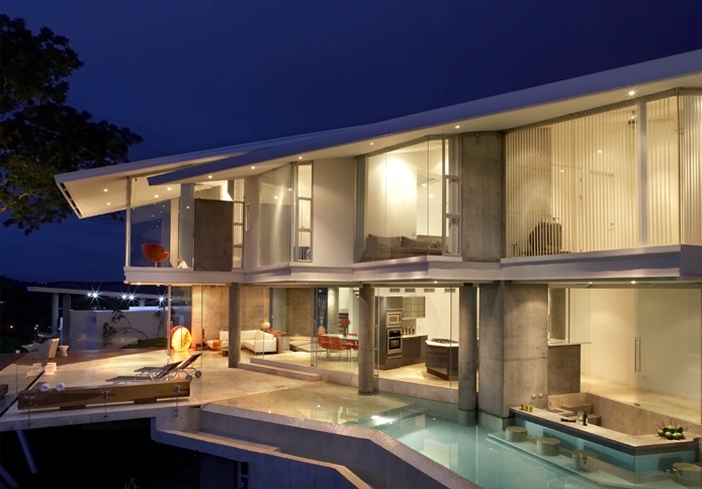 Location is just perfect. 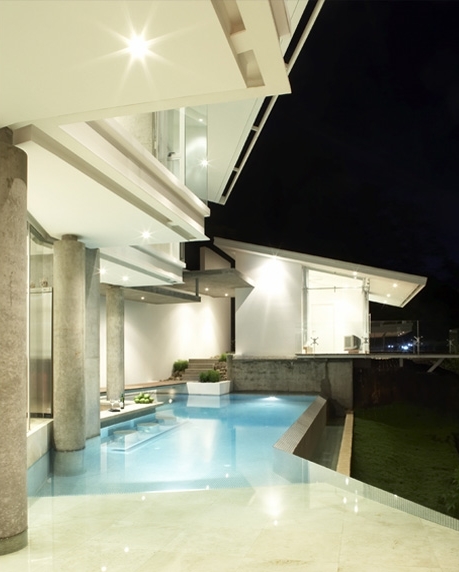 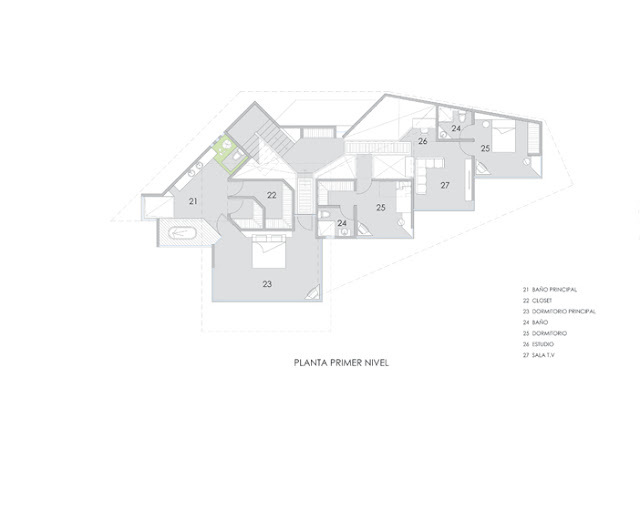 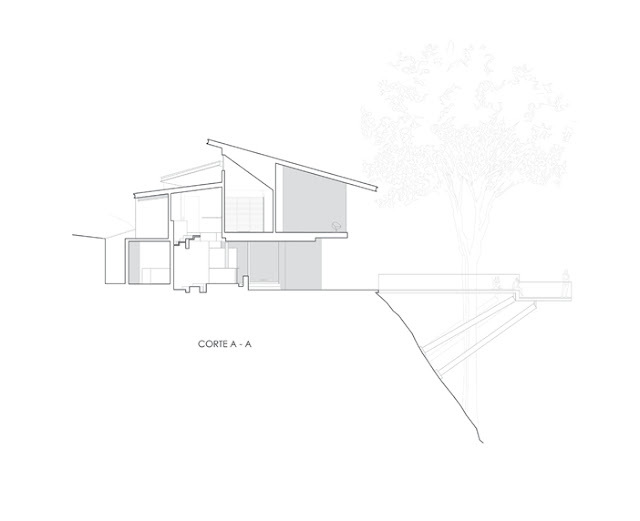 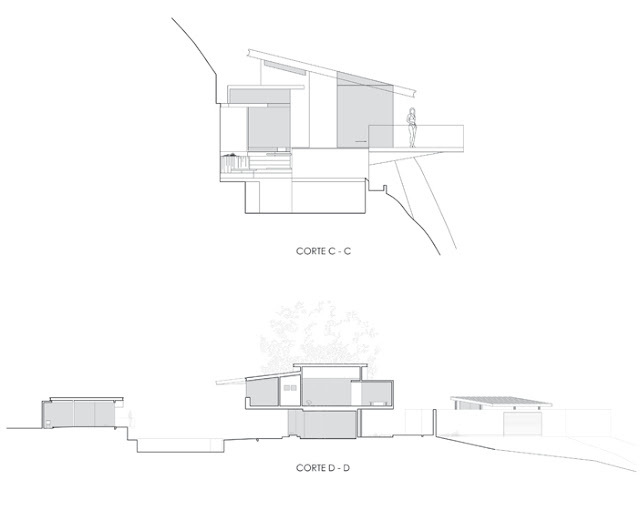 The house is built in pure minimalist style. 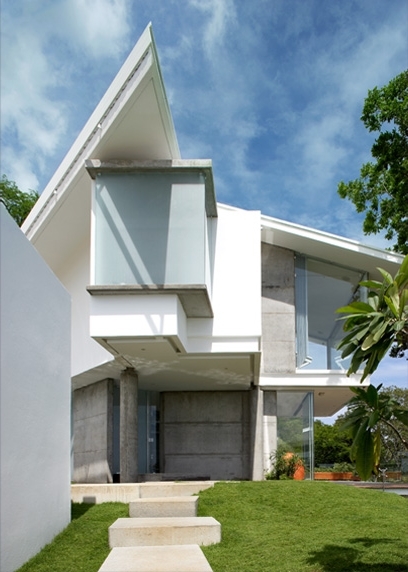 No frames on the floor-to-roof windows, walls are simply white or even left as a bare gray concrete. 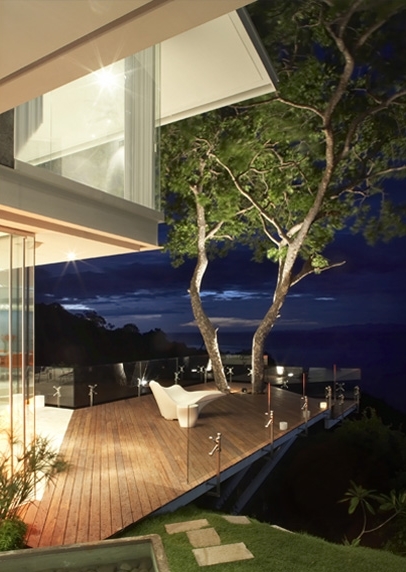 There is also a tall tree integrated into deck which gives just another dimension of beauty.